Alix: I found myself spending much of June reflecting on the year, and celebrating all that we have achieved since September. How much each child has grown. How much we have grown together! 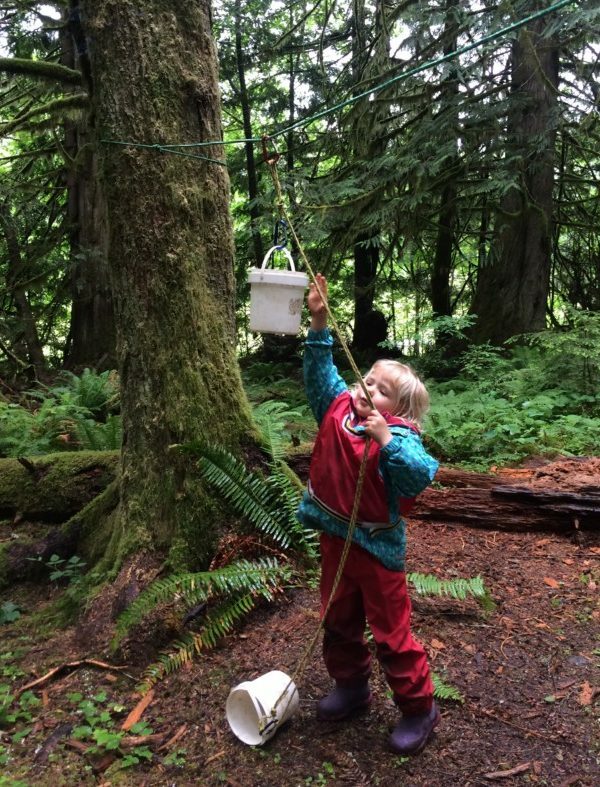 How the children have grown to love and care for the forest. And how much I have grown to love each of these children! In so many ways I can’t believe our first year is already over, and in others, the beginning of the year seems so far away. I am so proud of this group of children, who have come so far since the fall, endured many elements, conquered challenges both within themselves and externally as well, and gained uncountable skills that will be with them for the rest of their lives. I am SO excited to see where these children will take us next year in the Roots program! 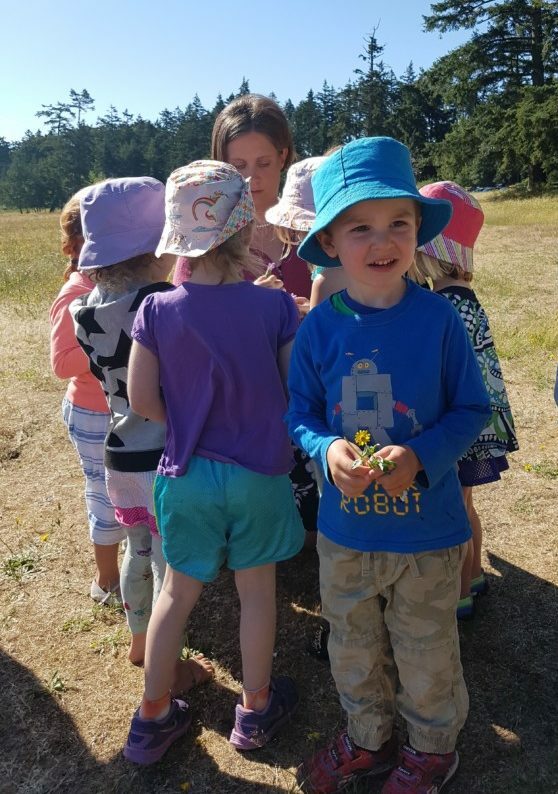 I really cannot say thank you enough for believing in this program, and us, and helping to get the forest preschool ball rolling in the Comox Valley! Have a fantastic summer! Heather: I really can’t believe it’s over. 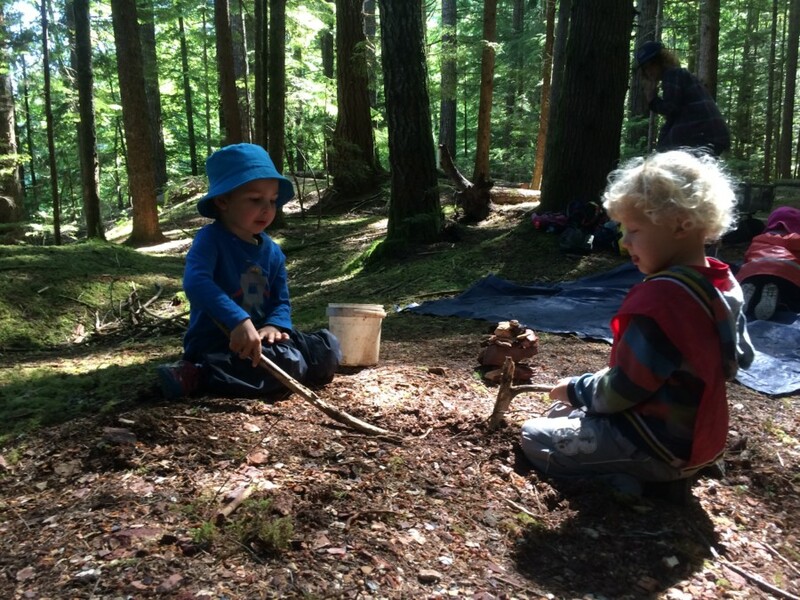 All the bonds we’ve created – child to forest, child to child, child to teacher, teacher to forest and forest to families, have all been very impactful. Especially in this program’s inaugural year where we set the stage for years to come. When your three year old joined the program many of them had never been with so many strangers and away for their parents for so long. Now they do it with confidence and skills that they can take into other programs and into the wide world. This year I saw each child’s individual character and aptitude shine through in a natural, open, learning environment. They have self-awareness that may not have been fostered in the same way with an indoor program. 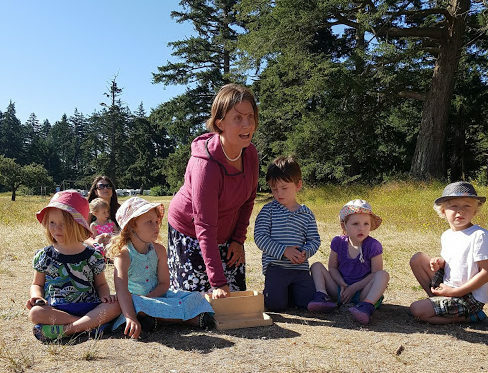 These Seeds have shown they are capable, and up to the task – of learning and growing for years to come. I am so grateful for this journey we’ve shared together – through sun, rain, snow, wind, frost, dust – through it all. All I can say is thank you, thank you, thank you. Thank you for sharing an important, integral year of your child’s life with us. You should be proud, they should proud. We’ve accomplished a lot – now what remains to be seen is what kind of fun, magical adventures you will get up to with your Root this summer! Soap making We were lucky to have Debbie Bowman (from D. Bowman Nutrition Services) join us to make soap. The children found the process very interesting and really enjoyed being able to participate by stirring ingredients together. 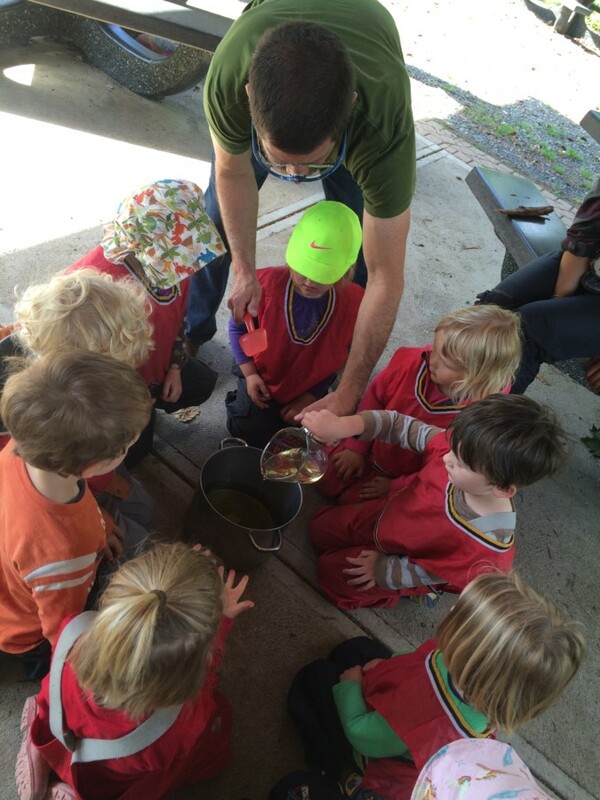 Each child was able to pour some of the oil into the pot, and then took turns stirring it up. Watching Debbie take out some flower buds that were too big for the soap. It smelled wonderful at this stage, and the kids were delighted to take home some “Cumberland Forest Soap” that Debbie had brought for everyone. Continuing Physical Challenges Whether small or large motor skills were being tested, the children continued to push themselves to increase their physical abilities. It is amazing how far coordination in both areas has come since the fall! Most children are now able to put on and take off their backpacks independently, which is a big feat! Fine motor skills were put to the test while making Father’s Day presents. It was quite tricky for those little fingers to get the yarn just right. 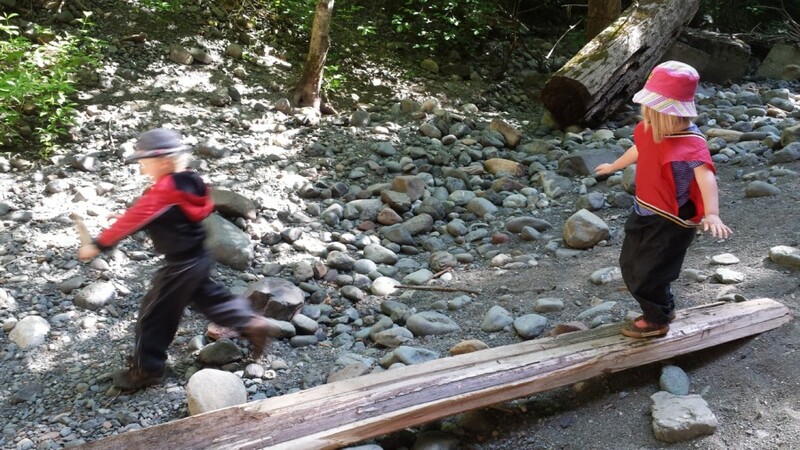 We have been practicing balancing on logs throughout the year, and the challenges always get a bit harder. Here Iris is carefully making her way to the end of a tippy log. She knows that putting her arms out and keeping her knees slightly bent will help her get to the end. 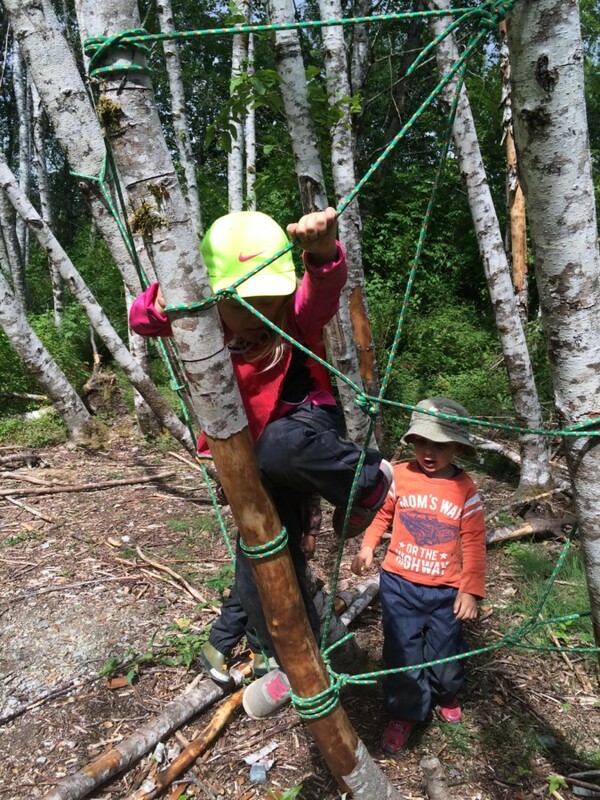 The “spiderweb” is requested often and provides a great challenge for everybody. It is a slightly swinging climbing structure, and the height can be daunting for some. It is so satisfying to watch a child climb higher and higher each attempt and then with growing confidence to the top. 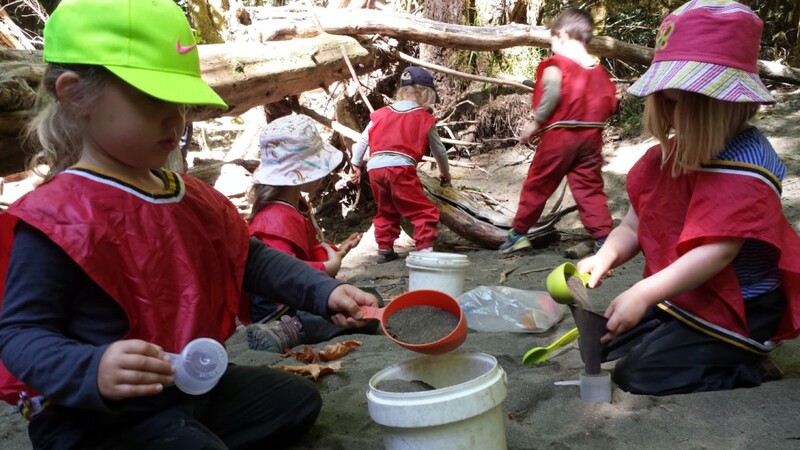 Deepening of Play Because the children are so comfortable with our daily routine, and with each other, they are able to fall into deep play quickly after arrival to a classroom. 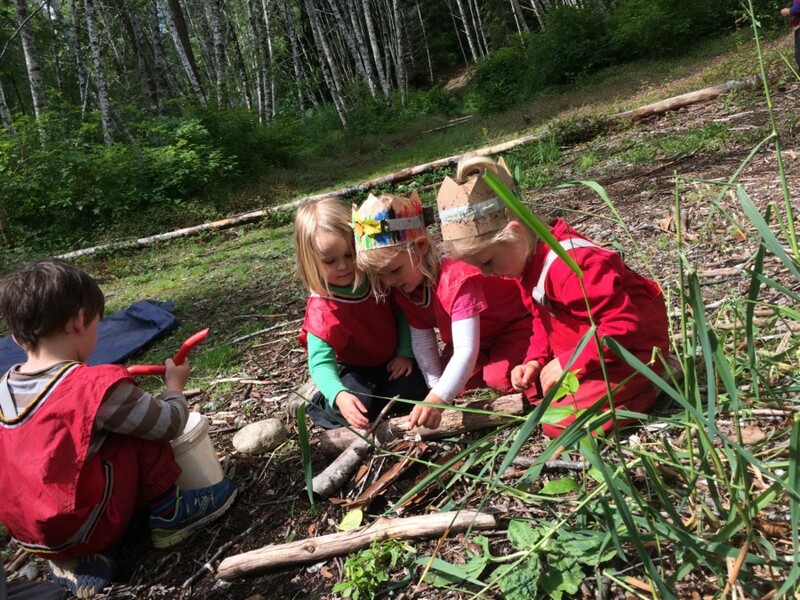 We have seen a lot of growth especially in their quality of group dramatic play. Throughout the year, building mouse houses, and playing out the dynamic of family life (someone is the mom, dad, baby, brother, etc) was common. Closer to the end of the year, we saw some play venturing from these repeated routines into new territory. 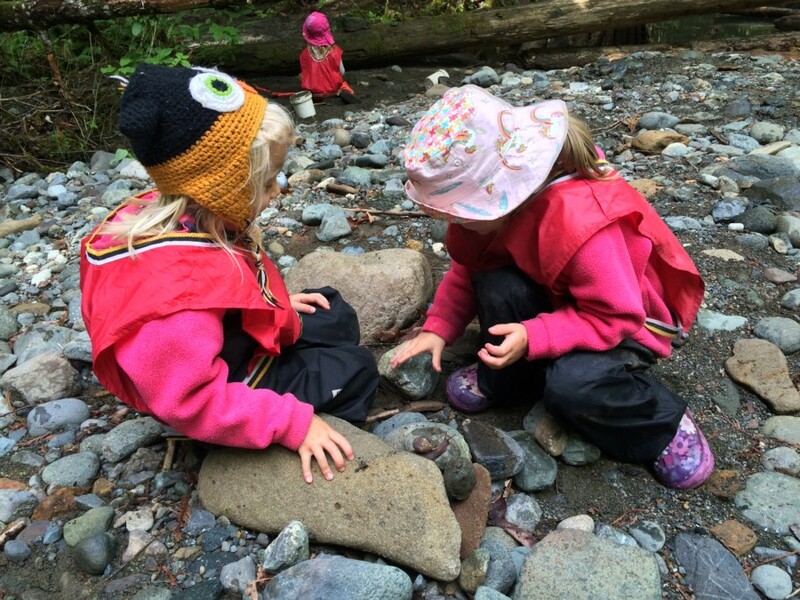 Here we can see examples of dramatic play that has been deepening through the year. The children in the foreground are making cookies and muffins, while the children in the background are busy constructing a house. 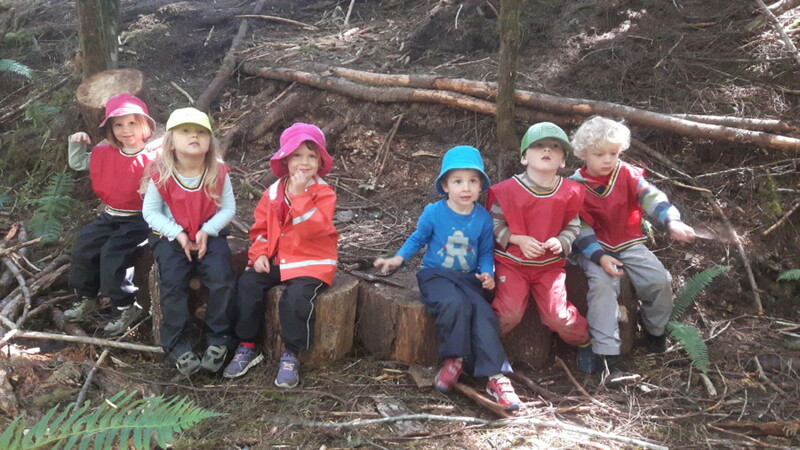 Despite the theme remaining the same, the depth of the play has increased over the year, as the children have grown to know each other (how each person plays, what they like/dislike, etc), and their skill at manipulating the materials in the classroom. We enjoyed one more round of rainy play before the end of the year. 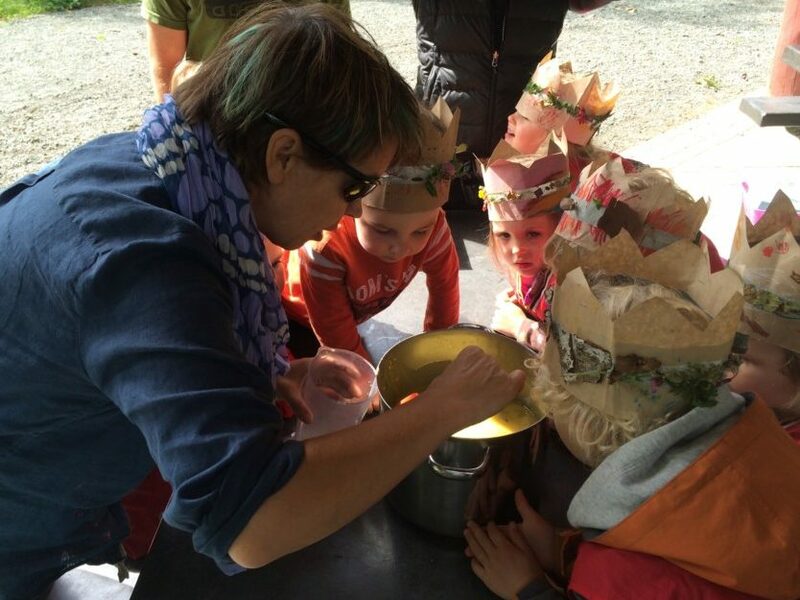 The children fell right into water play, making hot chocolate to share with everyone. Camping became a theme close to the end of the year. Children worked in small groups to get the fire ready, and to make a tent/shelter to sleep in. Children will act out what is familiar to them, trying on different roles to gain understanding and confidence in their world. 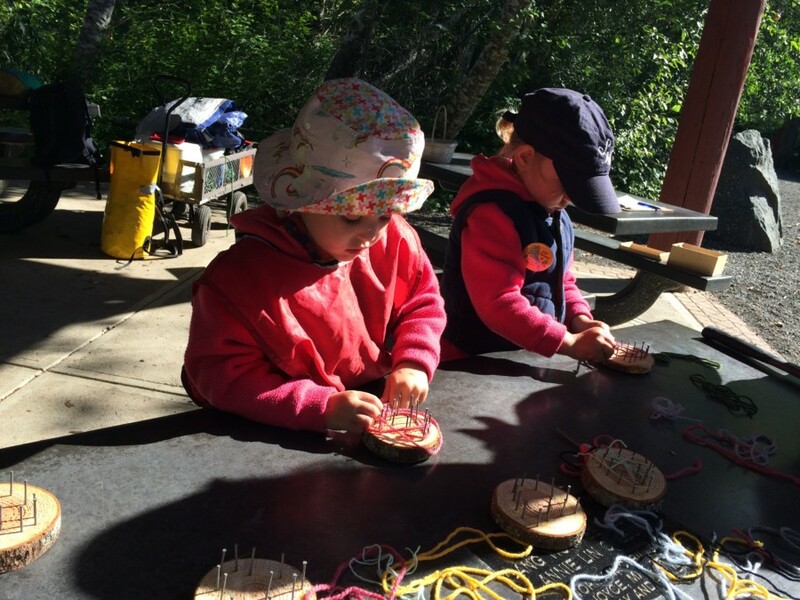 Kids Take the Lead Of course, we have been child-led in our approach to learning all year, and as we have grown, given the children more and more say over our day – where we are going, what we should do there, and guided problem solving. This month that growth could be seen in their suggestions even mid-route, which we followed whenever possible. 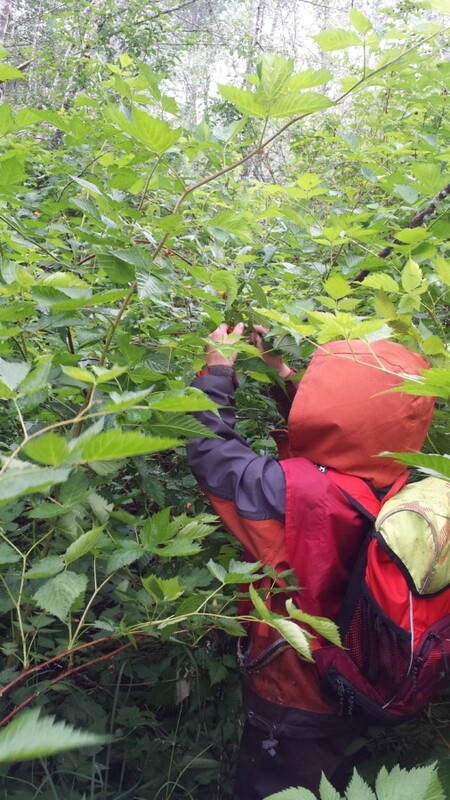 Stopping to pick berries was a common occurrence this month. 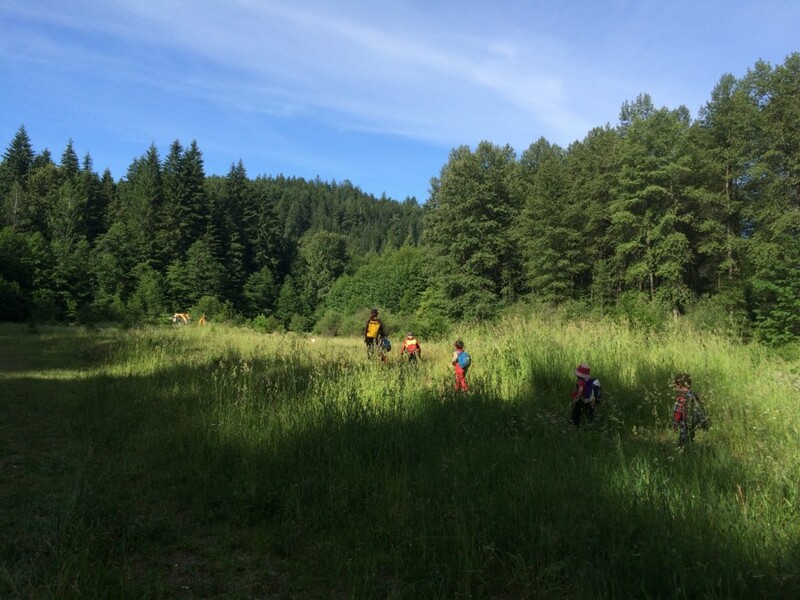 Sometimes we stopped on our way to the classroom, and sometimes we made sure to leave time to stop on our way back. 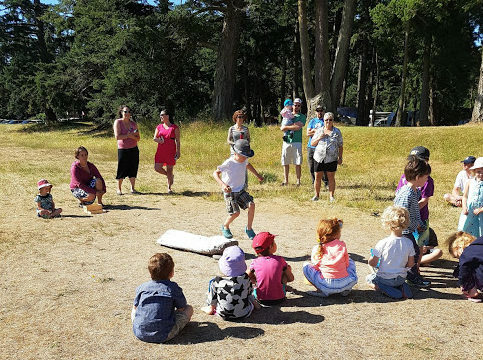 This was one activity that all children agreed on. One morning we arrived and a dump truck drove past the pavilion out of the park, and a few minutes later, back in. Of course the children wanted to investigate, so we walked that way and discovered that the dump truck was working with a loader in the field, removing the piles of dead scotch broom that had been accumulating. While visiting the “fairy houses” classroom, Kaya remembered this spot, not far away, and requested that we visit it for a picture. Voila! 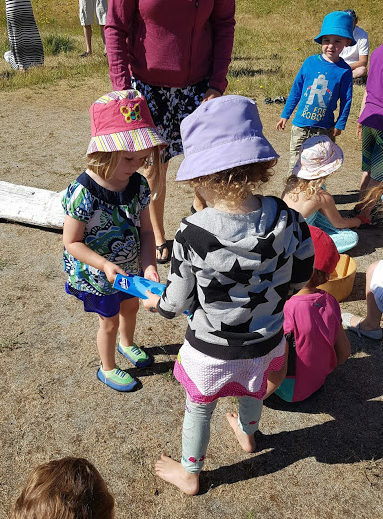 Strengthening of Friendships Over the course of the year, children have paired off in different combinations, and found friendships that are deeply valued. These bonds are the glue that keep our group close, and teach respect and caring for each other. It will be interesting to see how friendships develop next year when so many of the same children return, and new children join our group. Friendships develop over shared interests. In this case, Maeve and Amelia are working together to protect this snail. 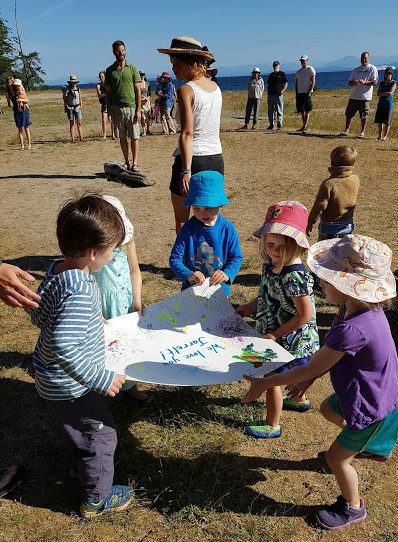 Closer to the end of the year, children often broke out of their usual groups and expanded their circles with different children. Here Zachary, who is usually by Torin’s side, had a clear idea of what he wanted to play, and invited Finnigan to join in. They are using tools in their shop. 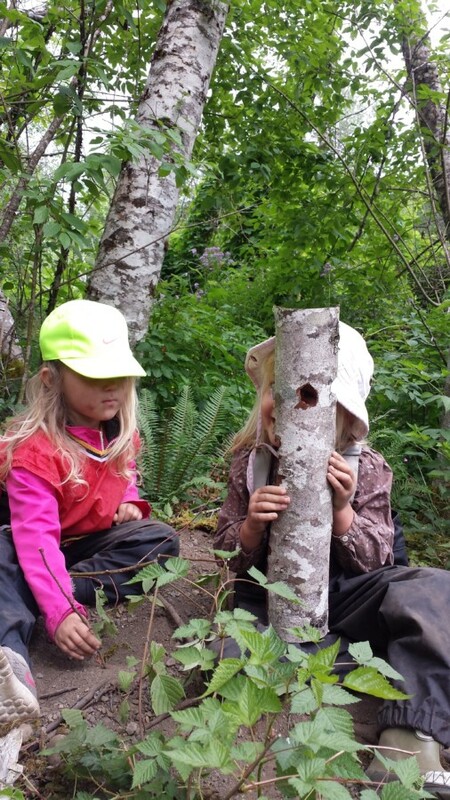 The bark that came off of the trees in the sticks classroom gave rise to many new ideas, and saw children partnering together on projects. We began by thanking parents for their support over the year by presenting them with flowers. The seeds worked together to present Jarrett with their thank you card, which included artwork from each child, and a separate letter telling Jarrett what they loved about him most. The Seeds assembled in preparation to carry their rocks from the Seeds box to the Roots box waiting on the other side of the log. Once on the other side, this years Roots presented each Seed with a Journal and pencil that will be used in next years program. We then watched as the Roots children made their leap from preschool to Kindergarten, and enjoyed a potluck lunch together! It was a great end to our year! We look forward to seeing you in the fall!